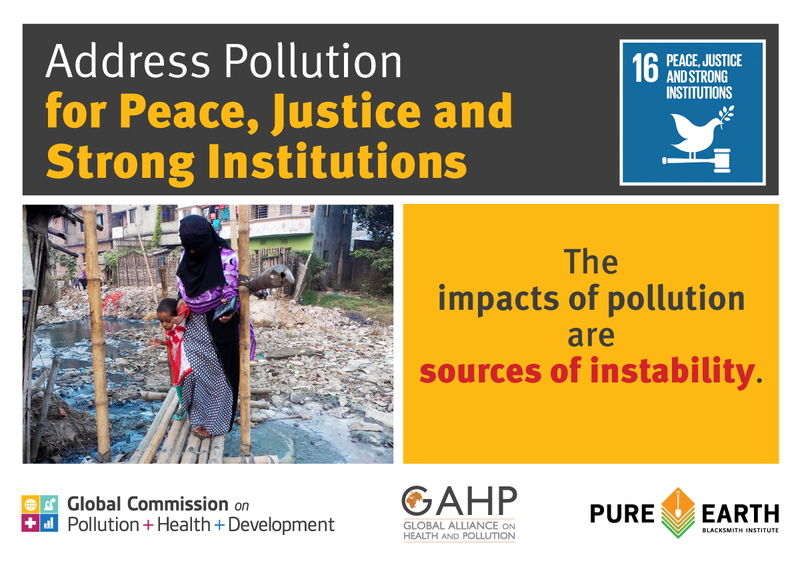 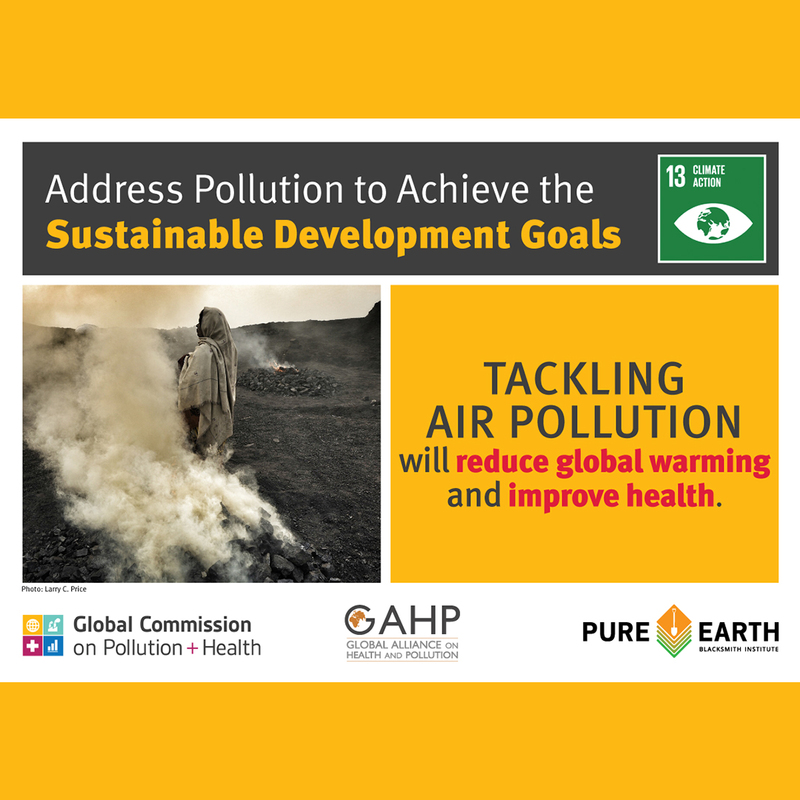 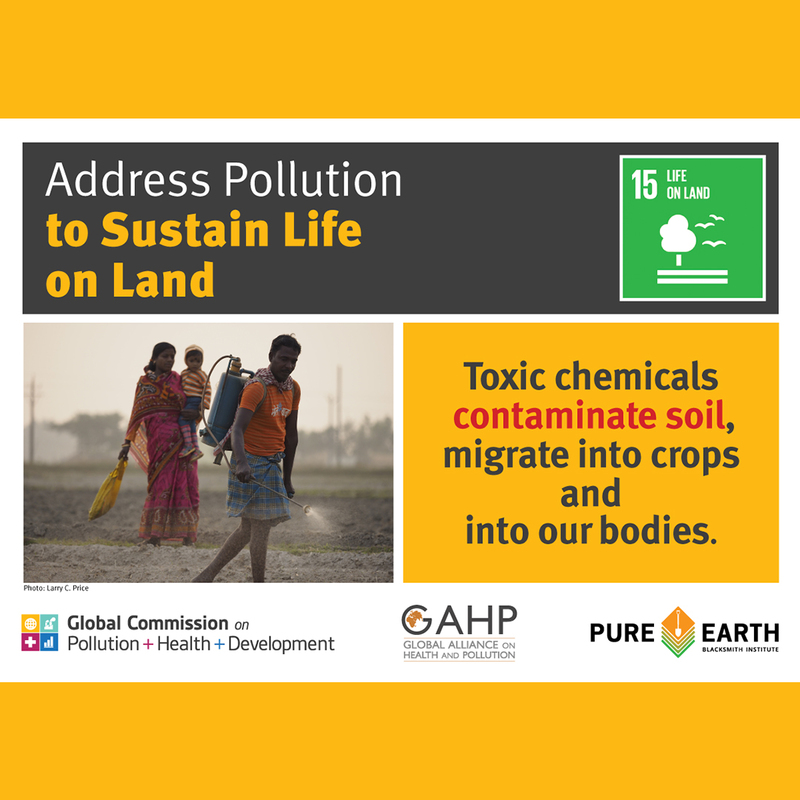 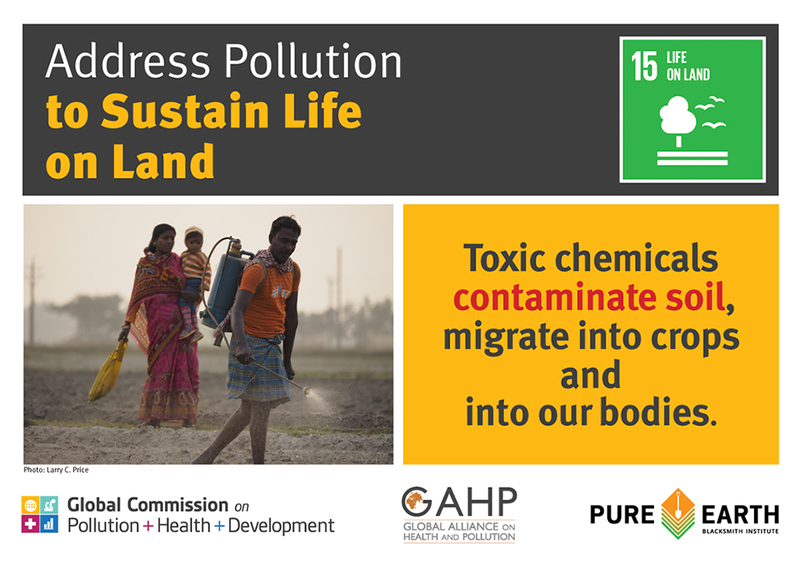 In the lead up to release of the Commission on Pollution and Health report in The Lancet, we are launching a social media campaign connecting pollution and the SDGs. 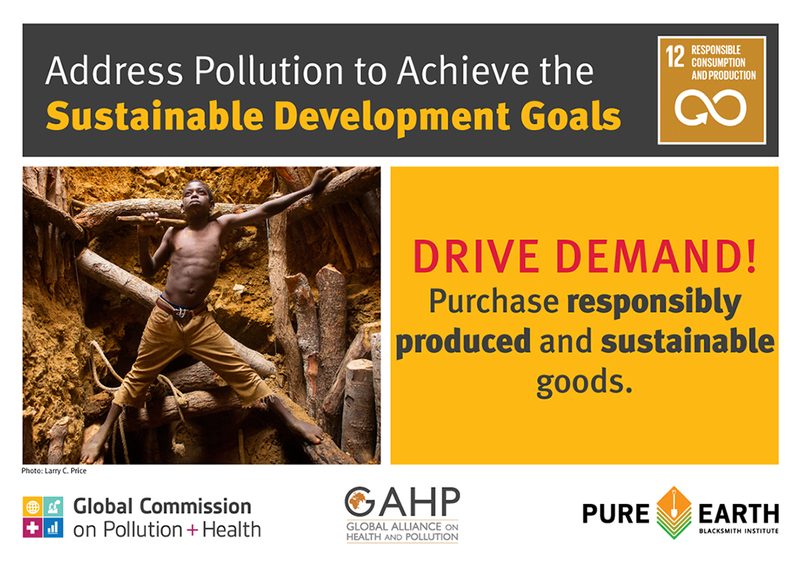 Please see the campaign details below and read more about the critical link on the GAHP Blog. 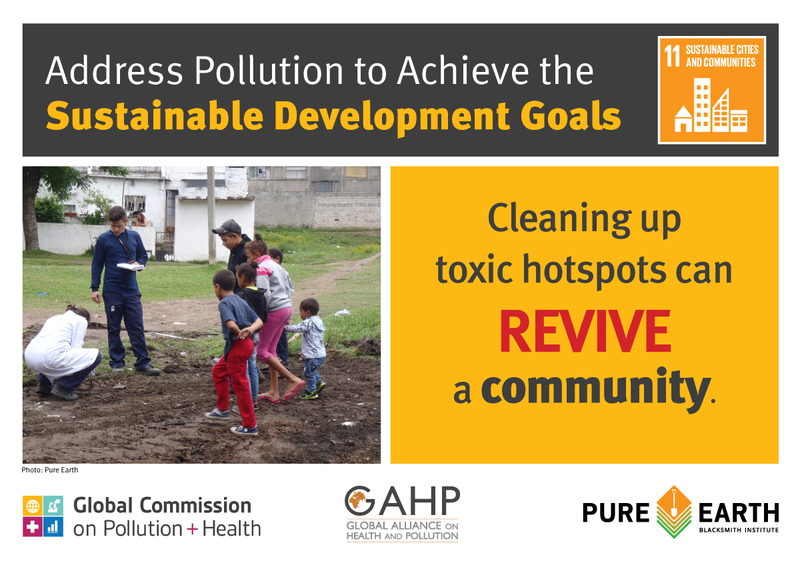 We hope all GAHP members will participate in this campaign and amplify the message! 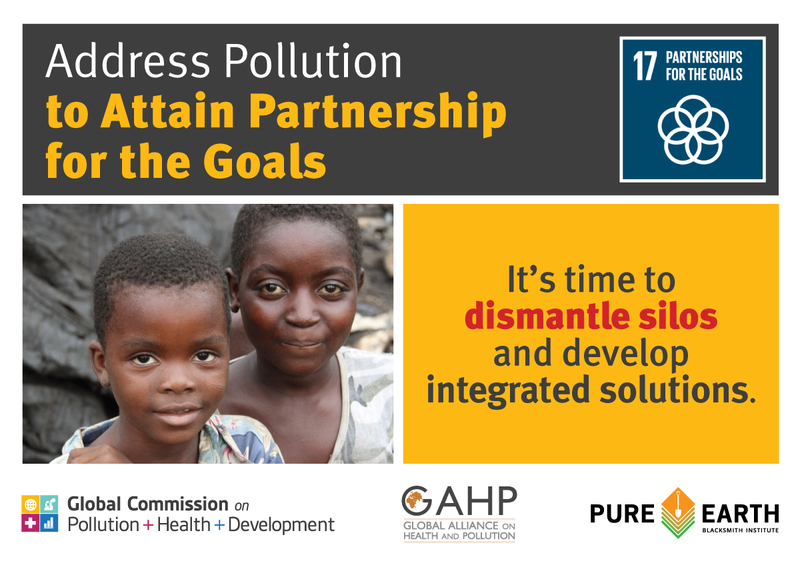 Feel free to share this page with like-minded organizations and ask them to participate. 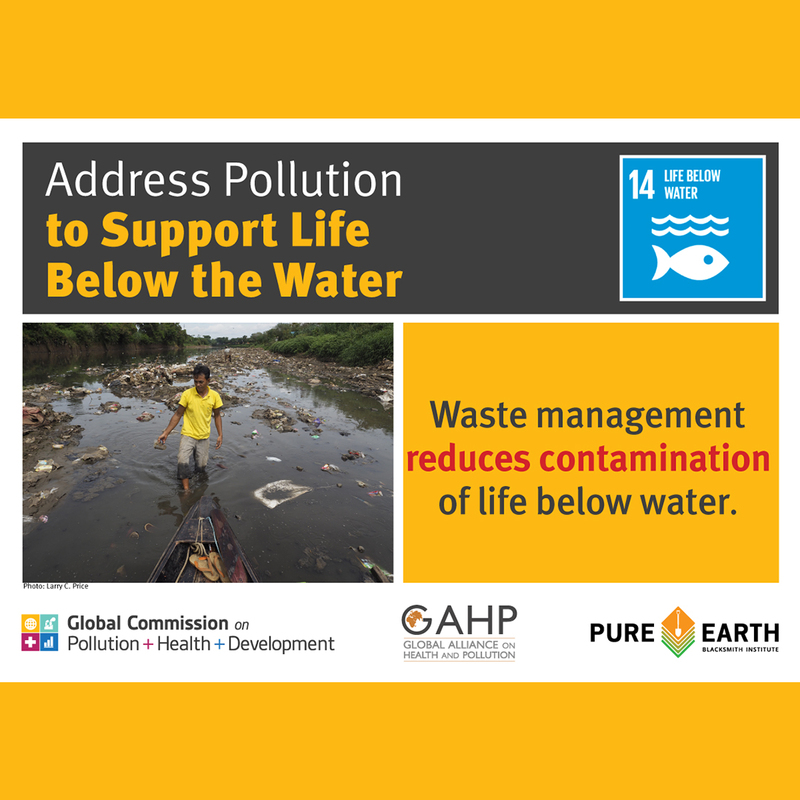 It’s time to increase our advocacy efforts and raise awareness of the real human cost of pollution. 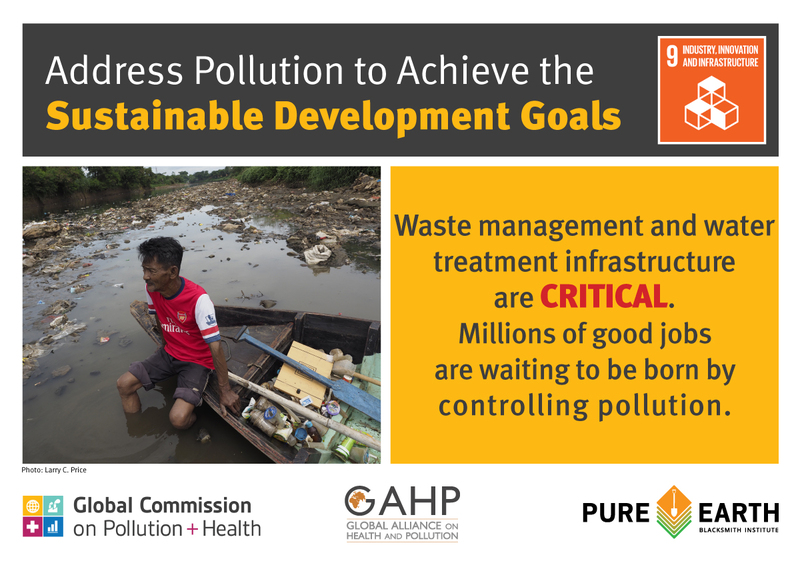 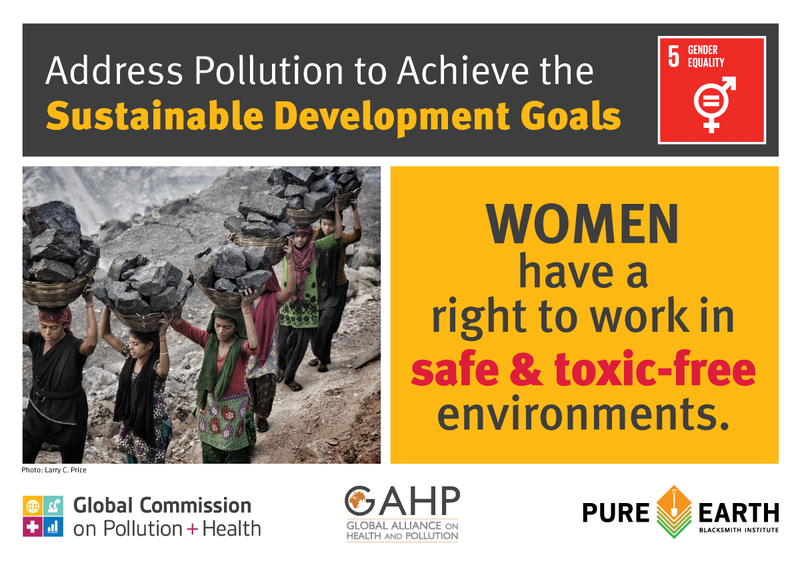 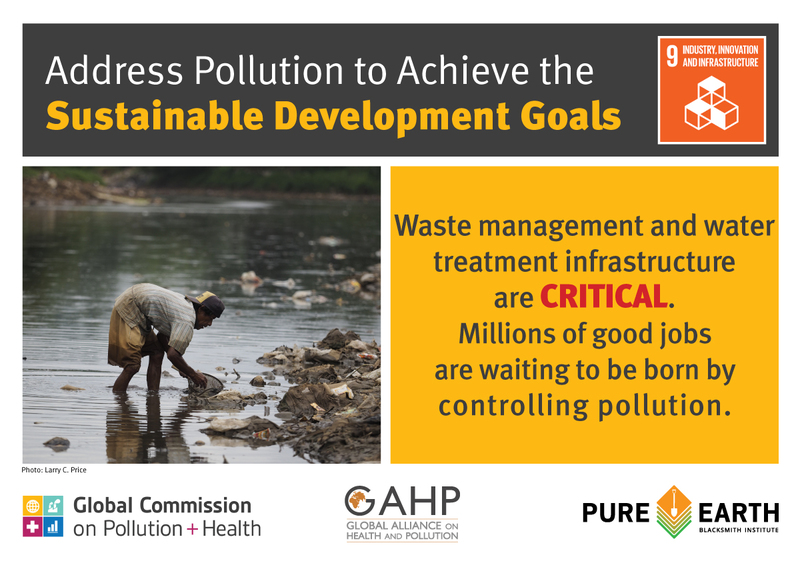 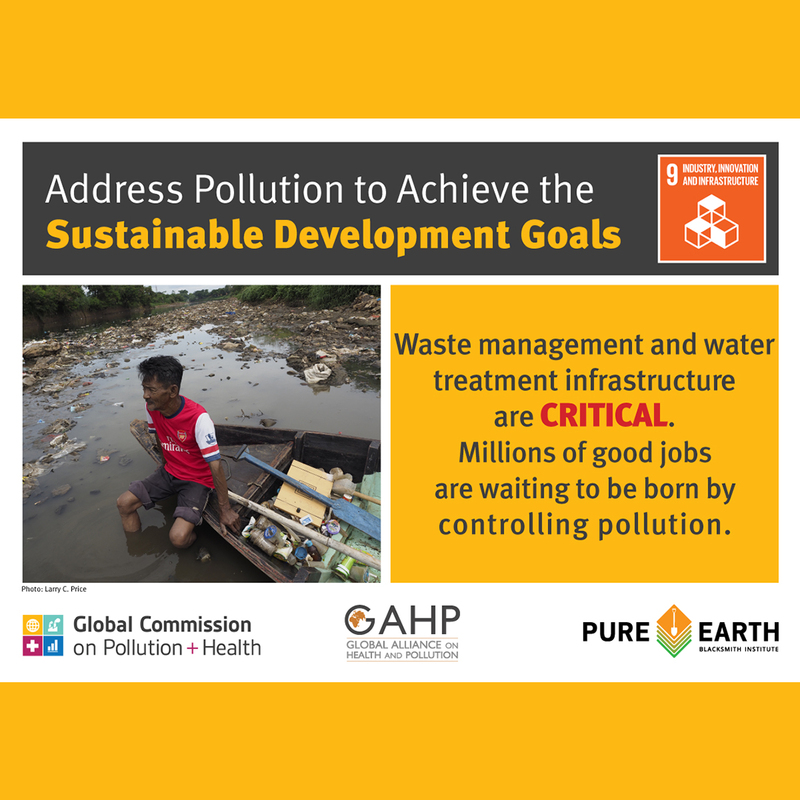 Join us as we launch the #WeCanFightPollution SDG Campaign to demonstrate links between pollution and the #GlobalGoals. 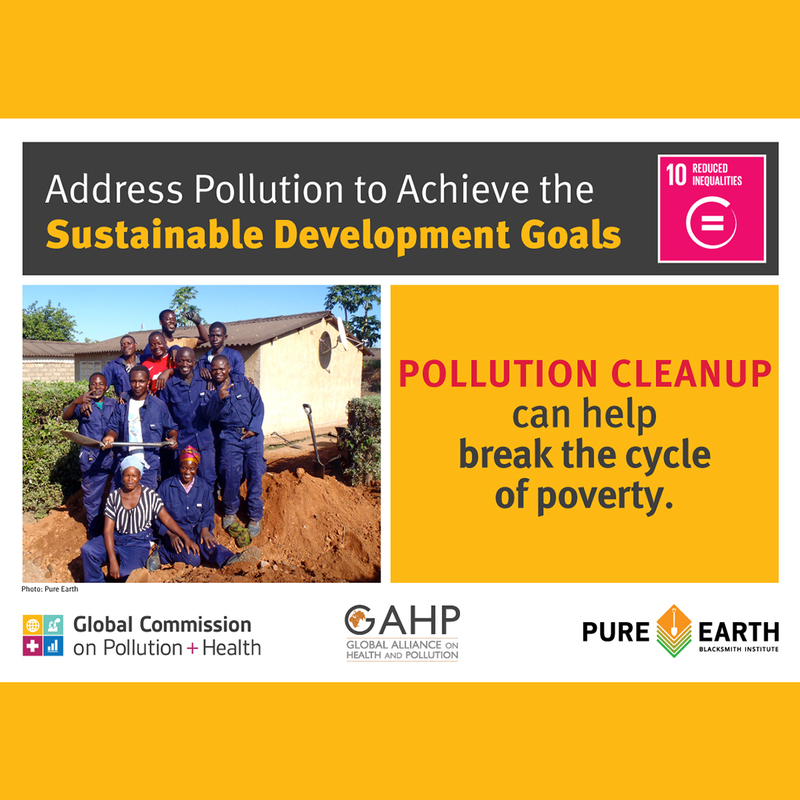 We’ve created custom social media images corresponding to each of the 17 #GlobalGoals. 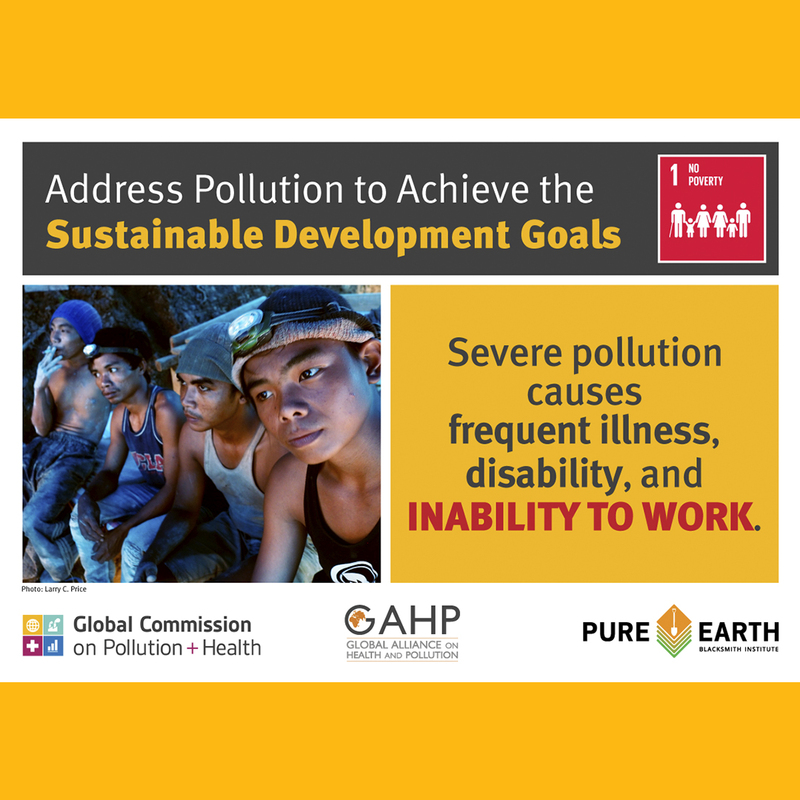 You can download versions for Facebook, Twitter, and Instagram and find the advocacy schedule for the coming weeks below. 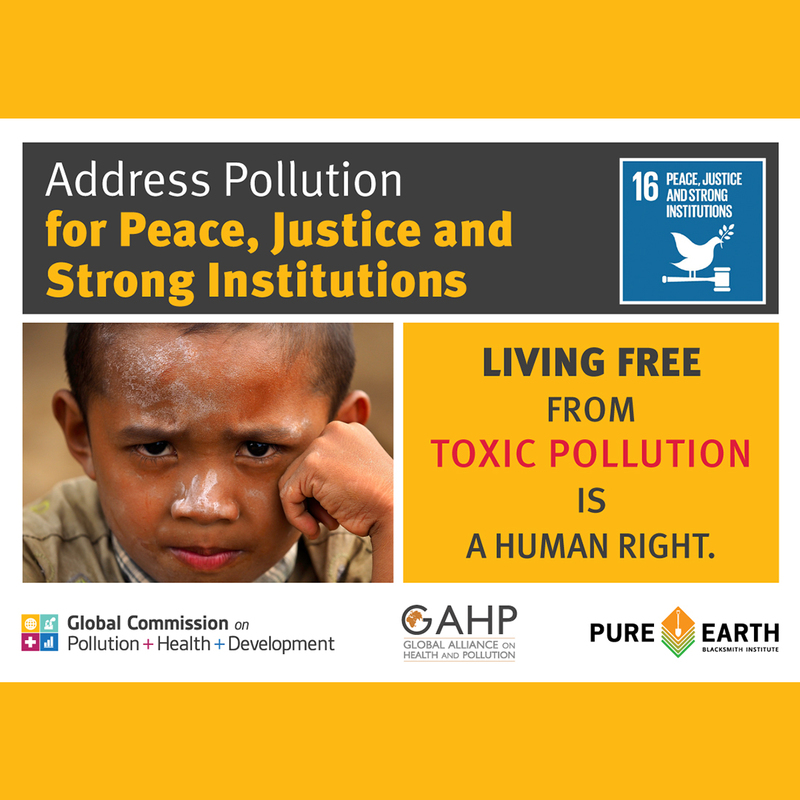 Each week please post one message about pollution and the SDGs to your own social media networks. 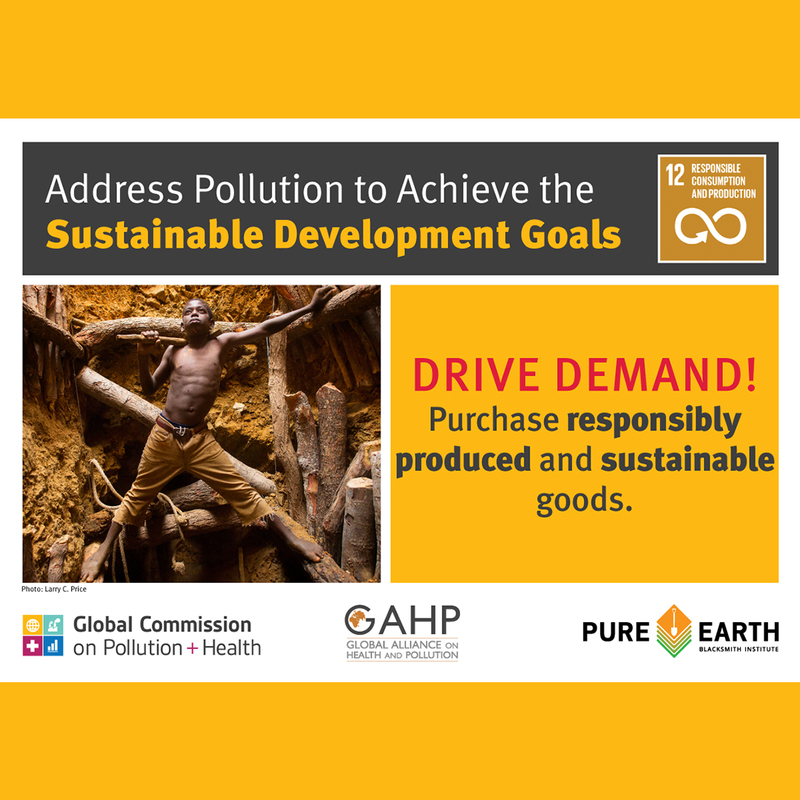 To make this as easy as possible for you, here are some sample posts to get you started! 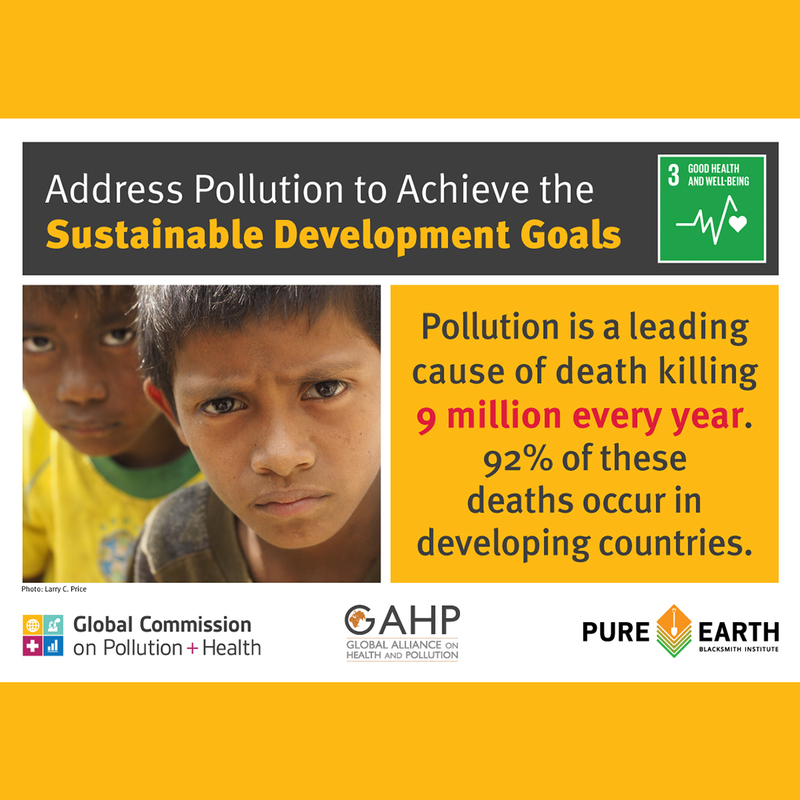 Just add a download graphic to your Facebook post, tweet, or instagram. 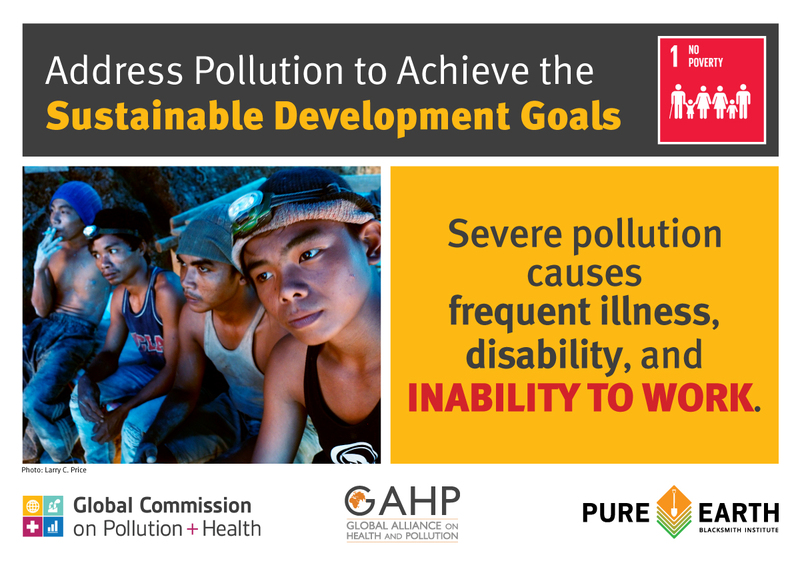 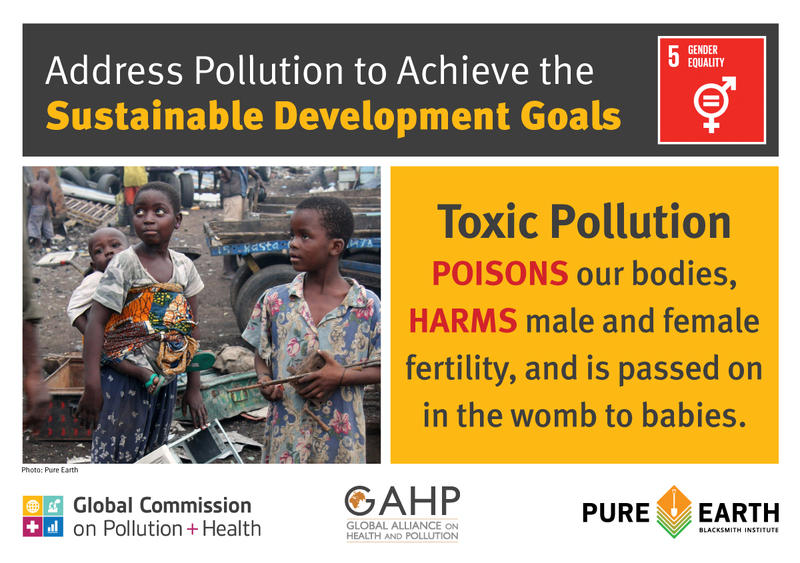 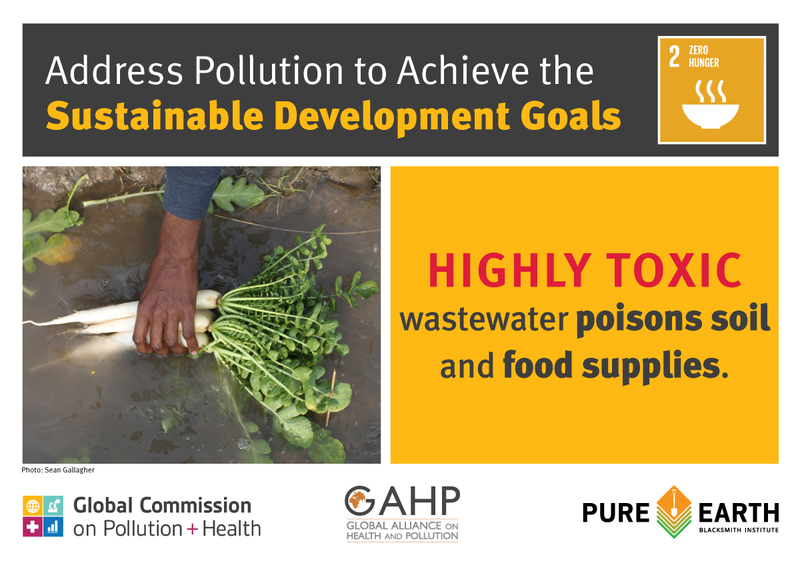 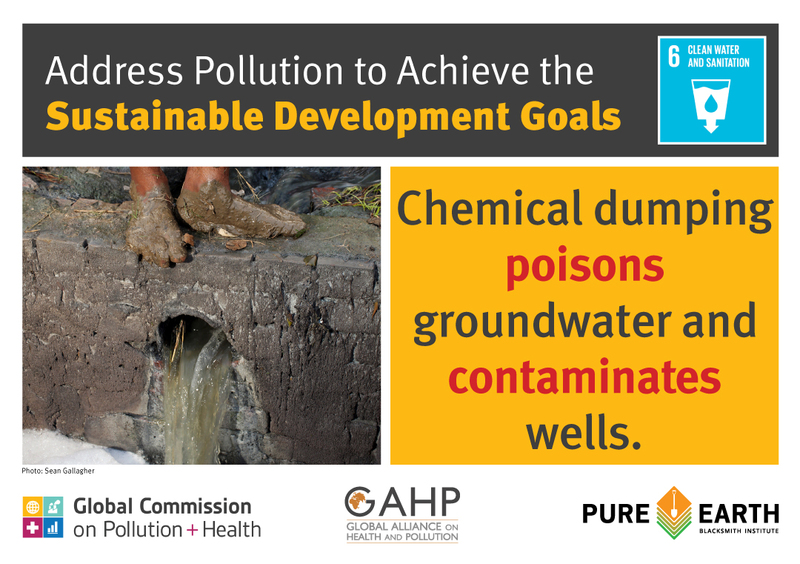 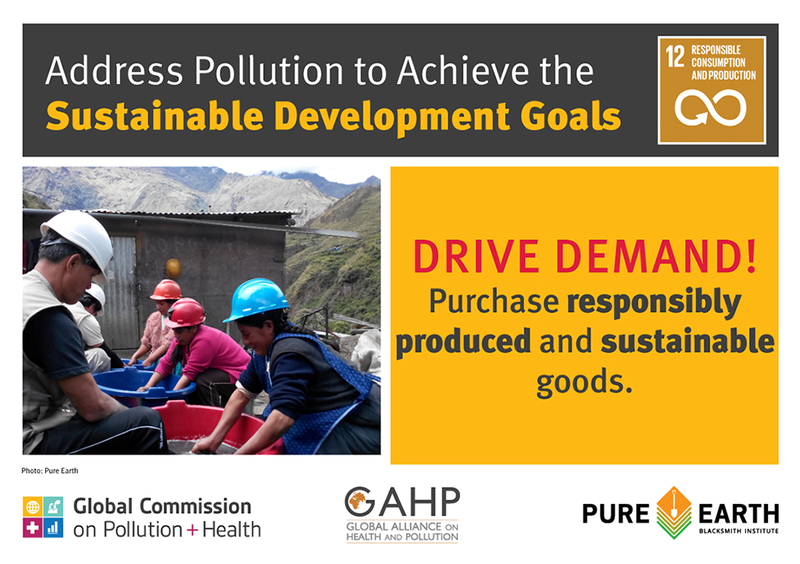 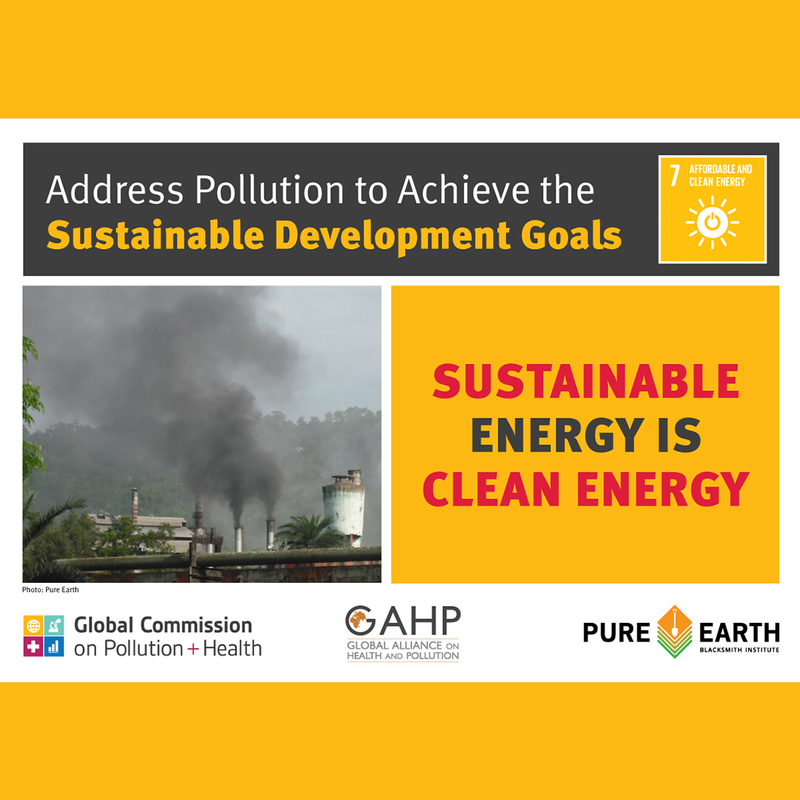 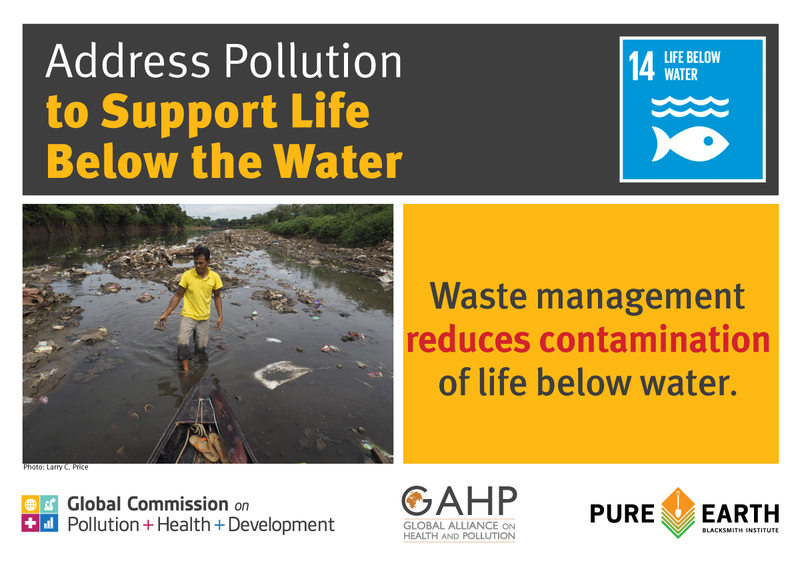 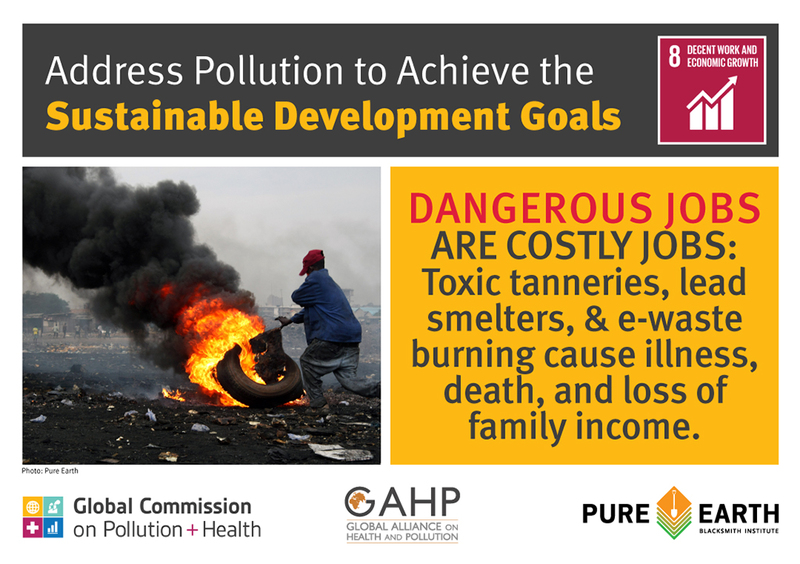 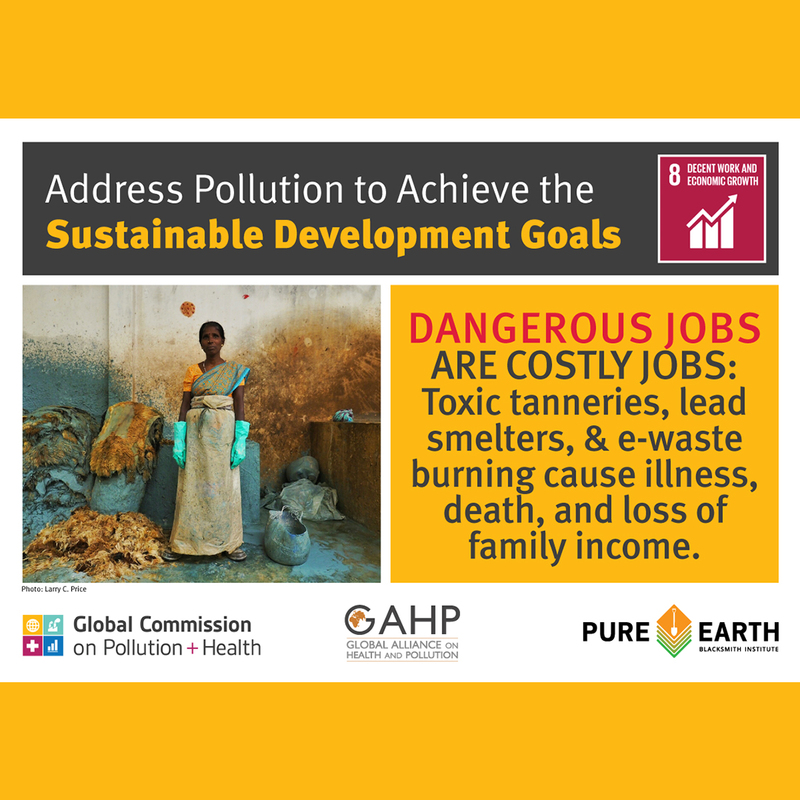 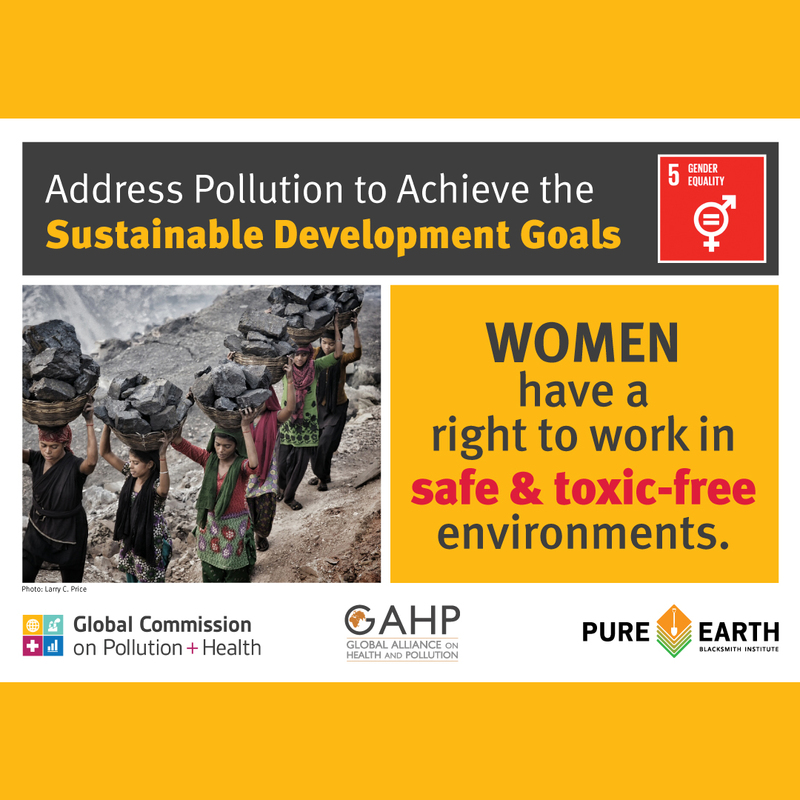 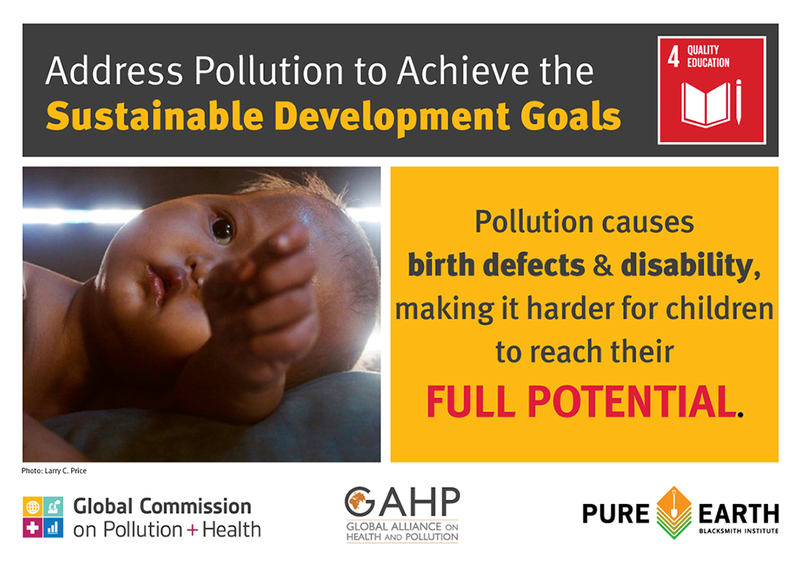 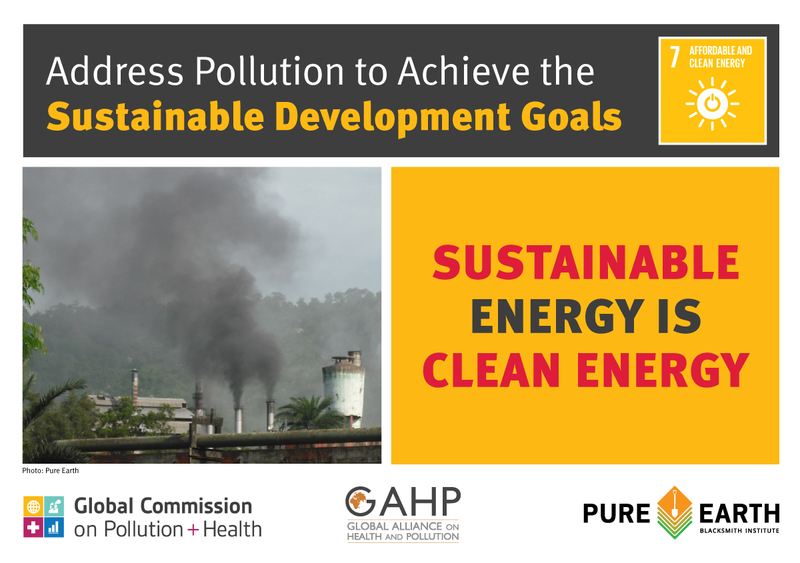 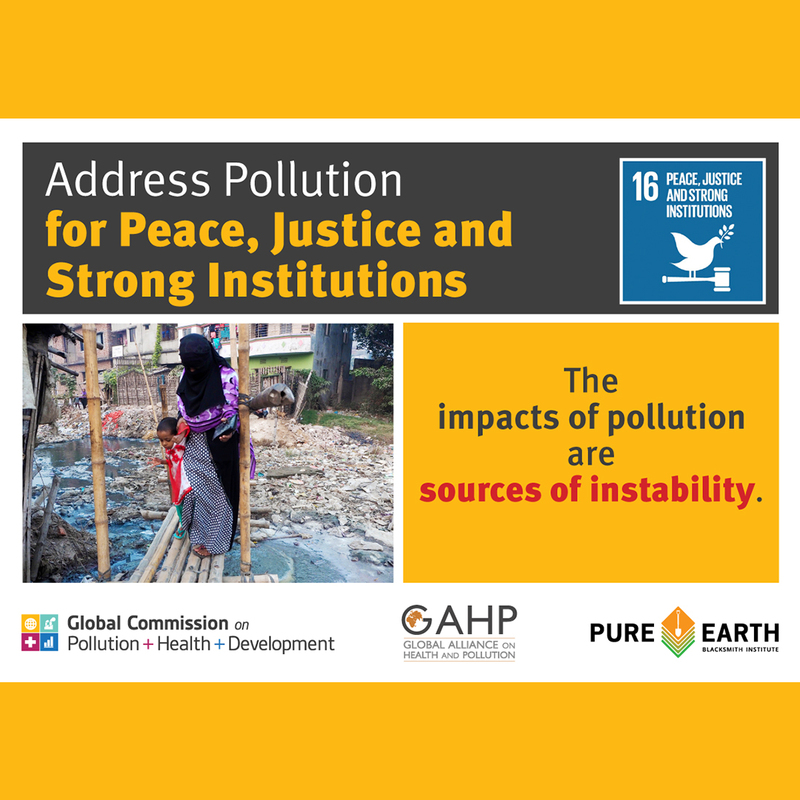 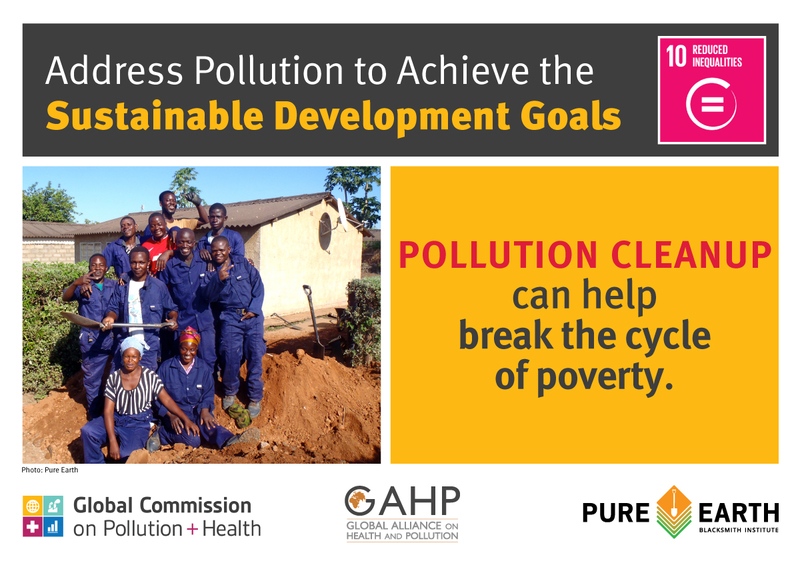 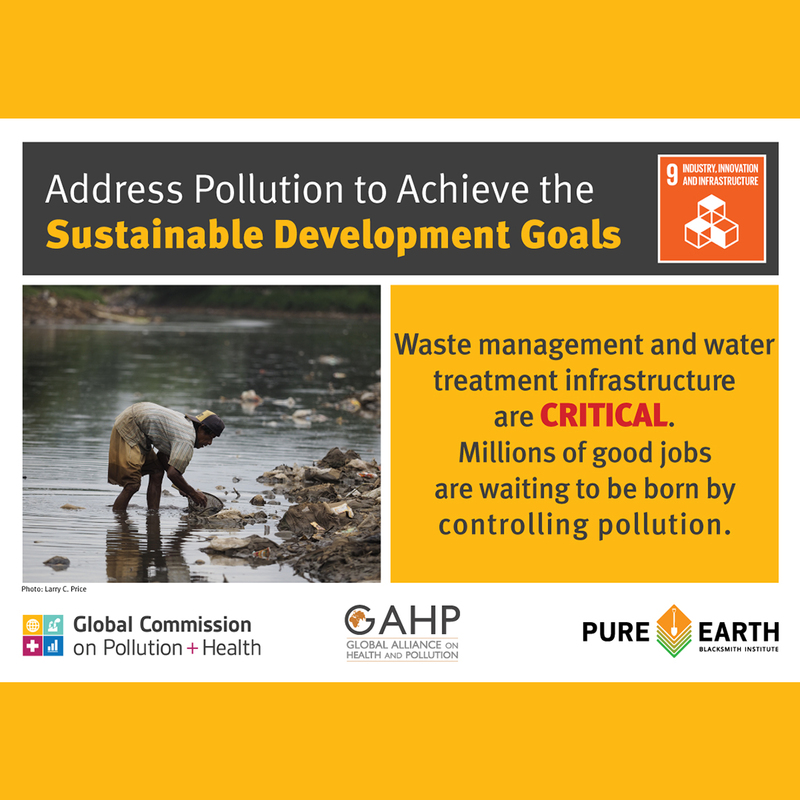 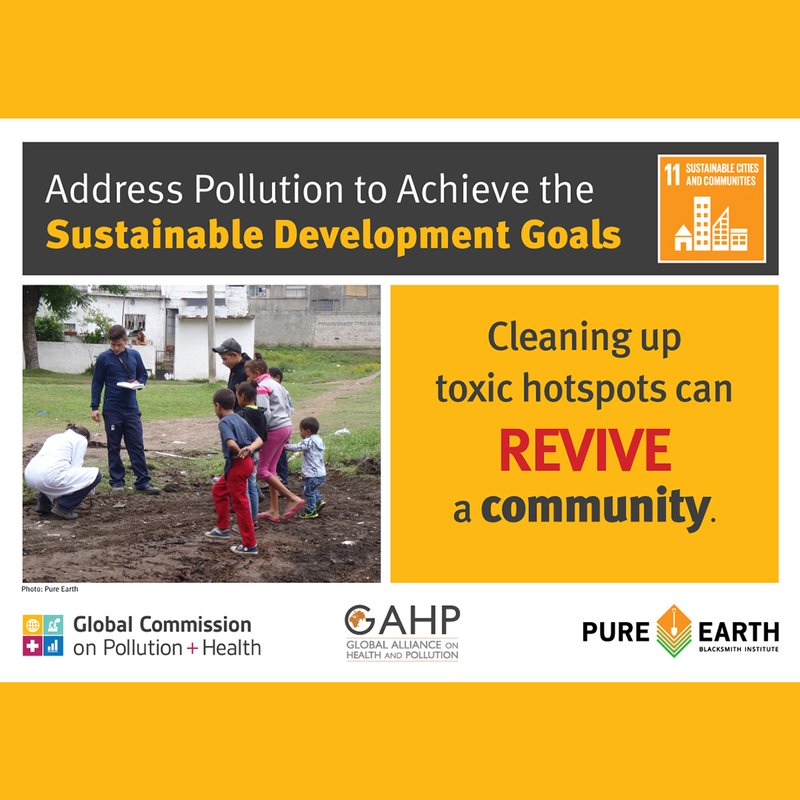 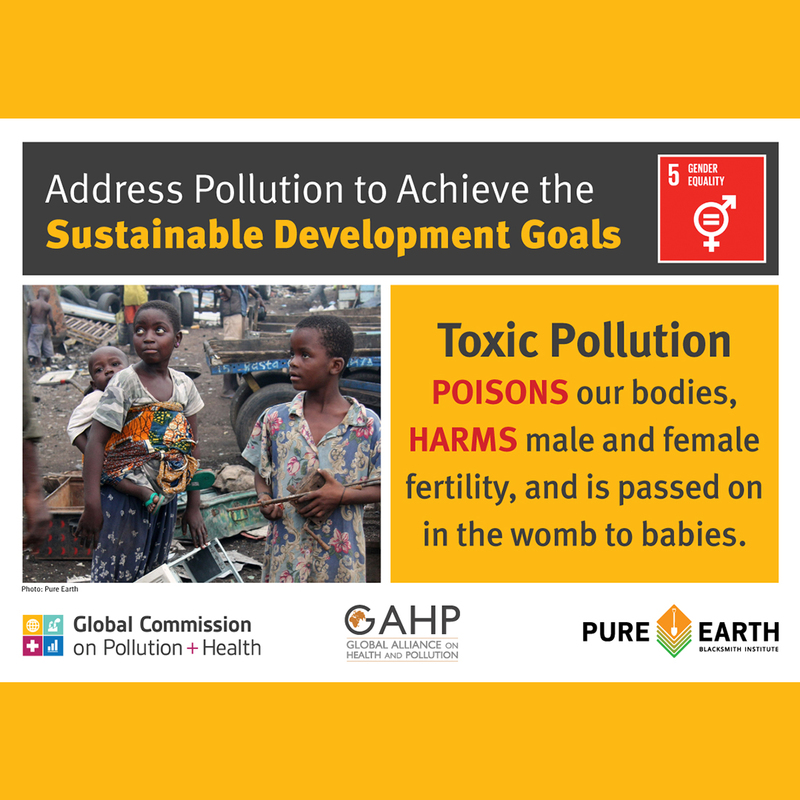 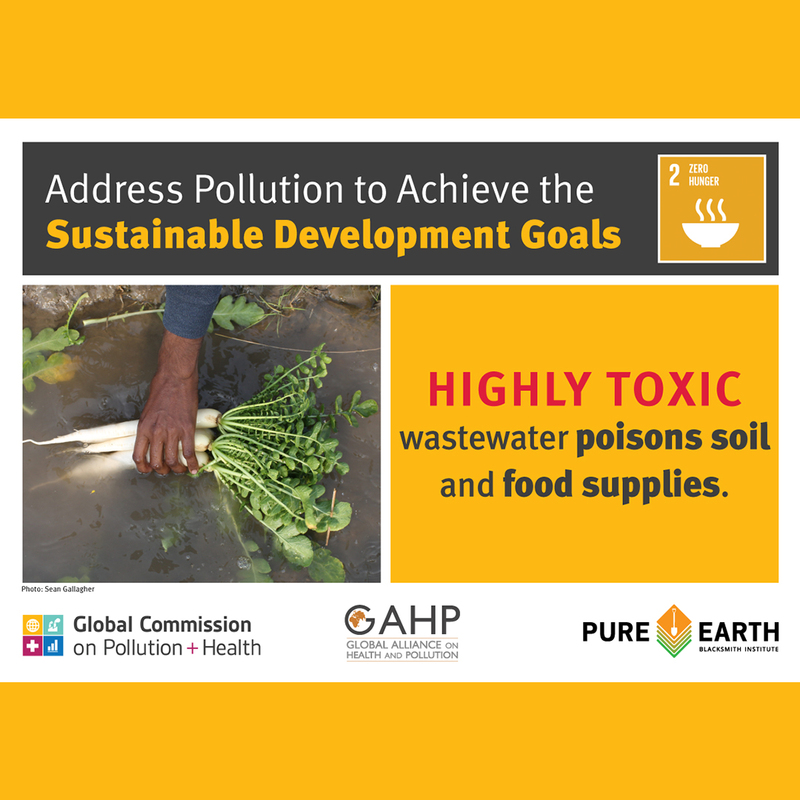 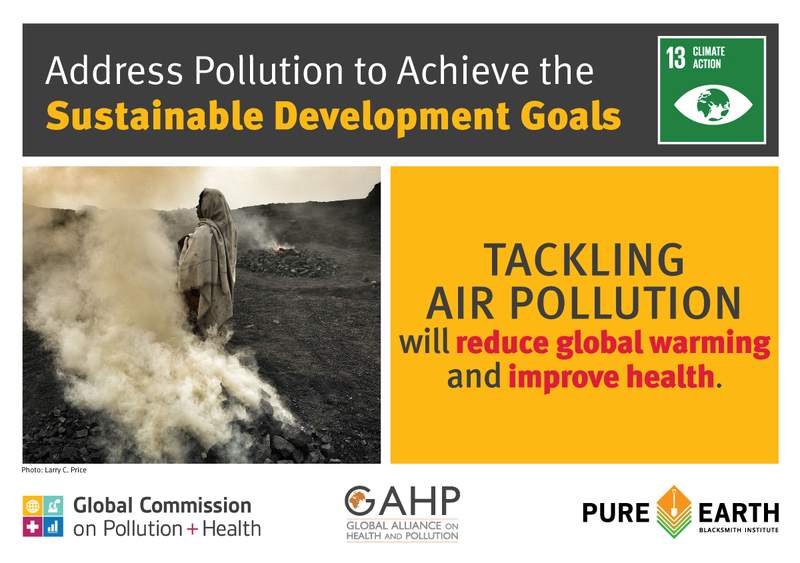 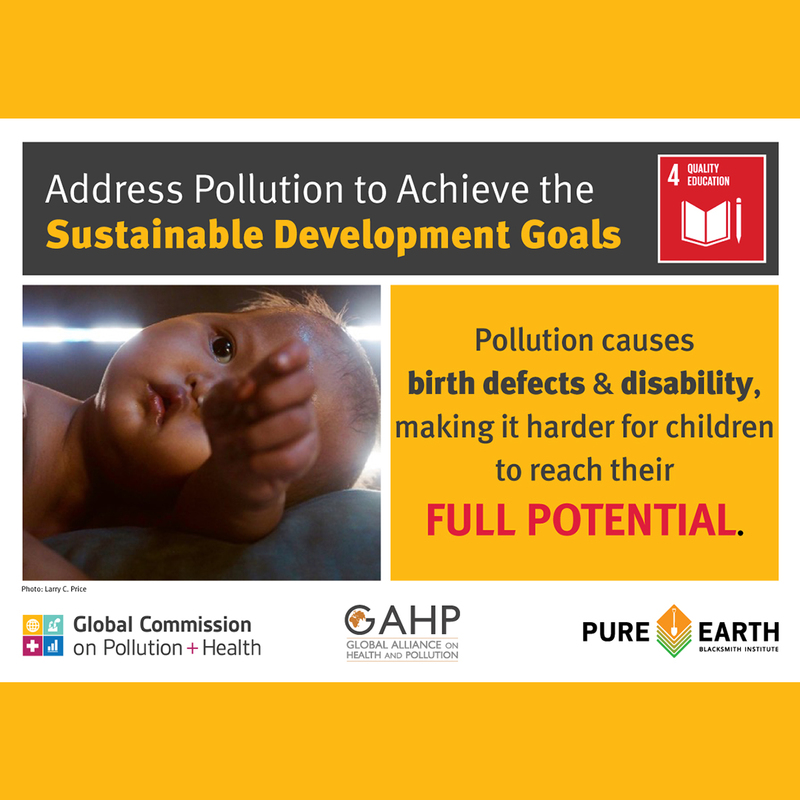 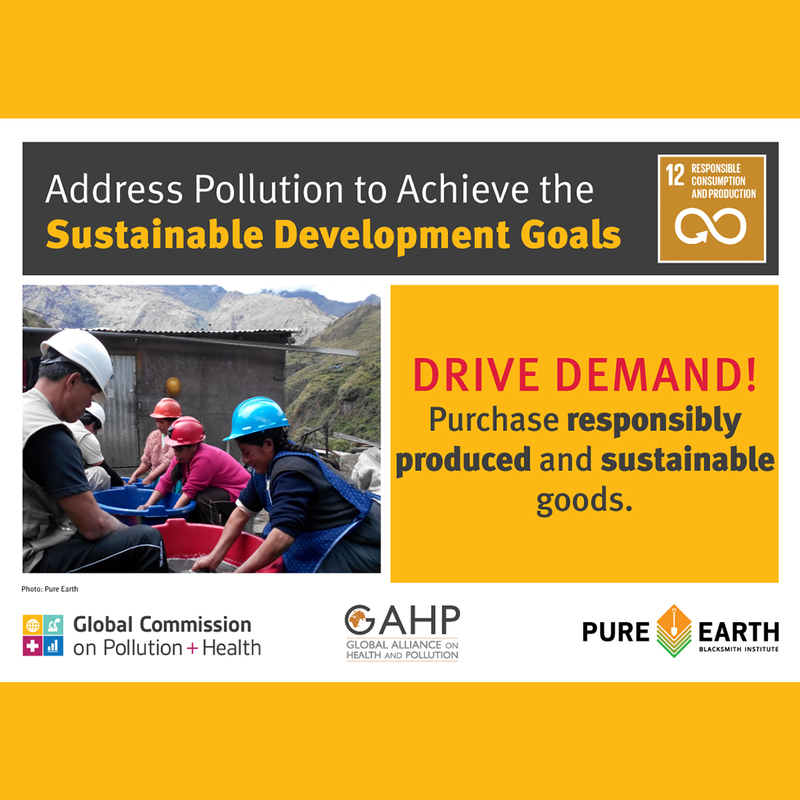 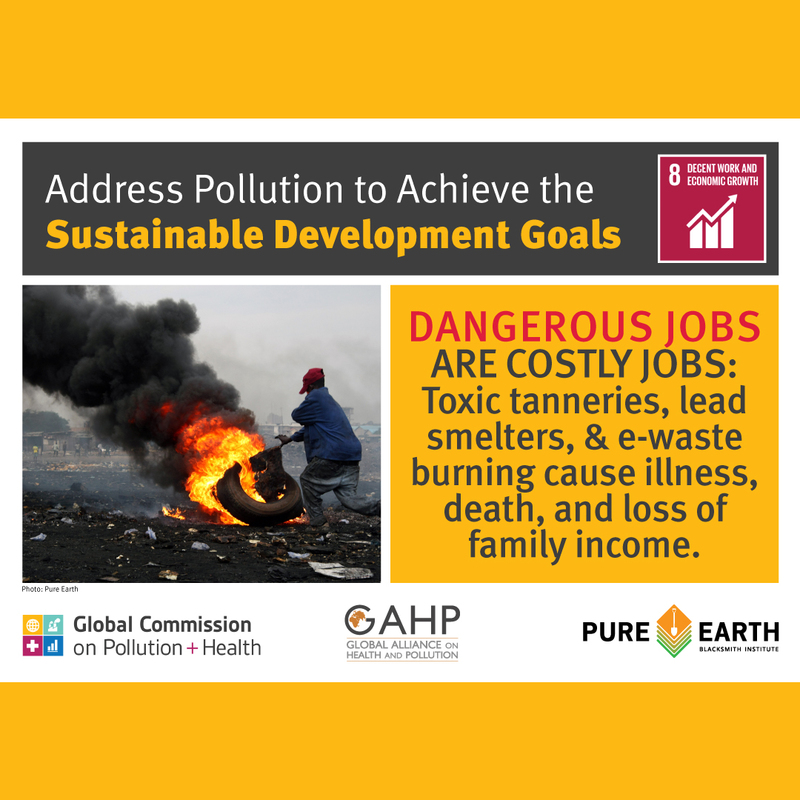 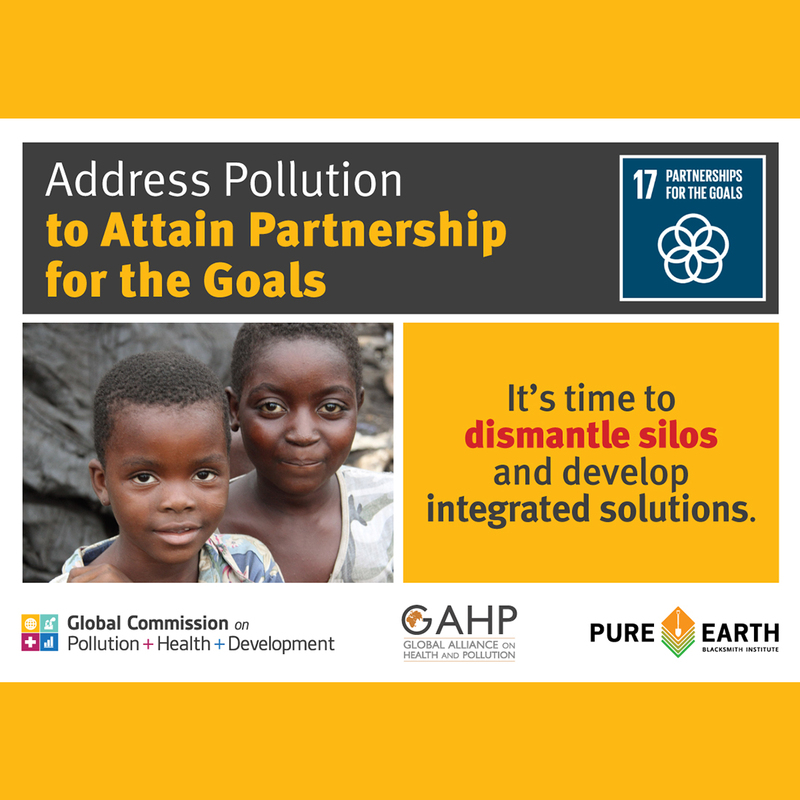 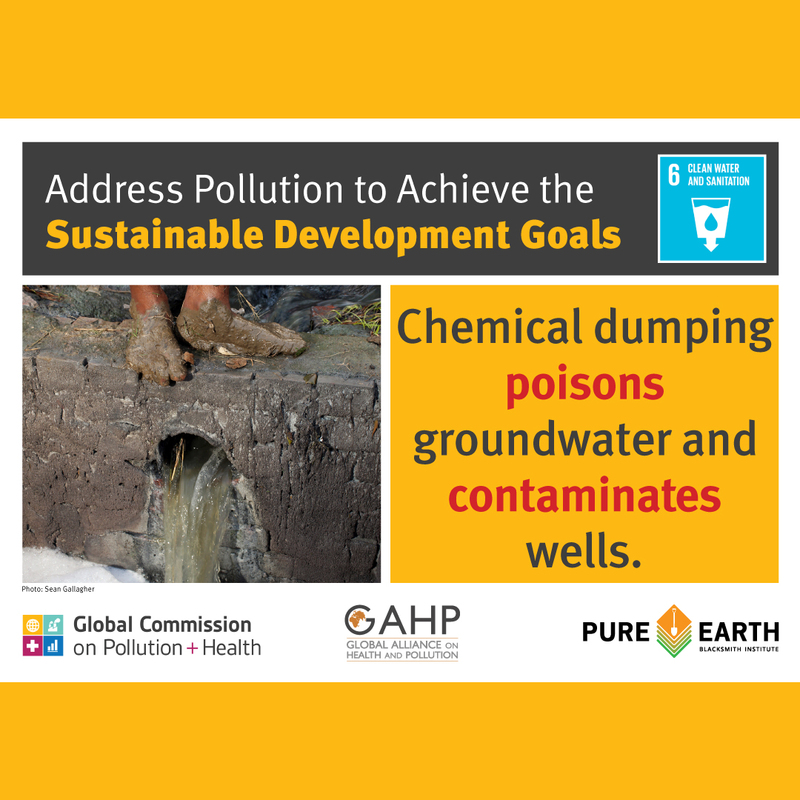 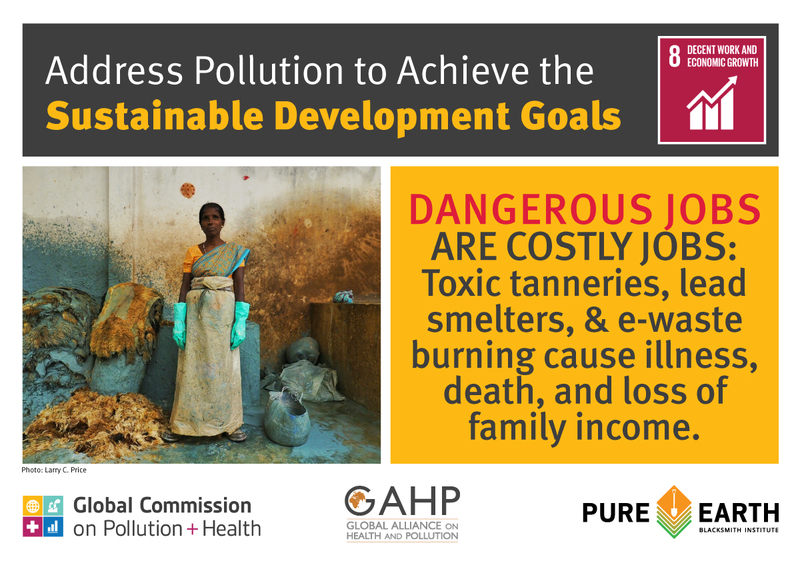 Each post below links to a blog on the GAHP website that further explains the link between pollution and the SDGs. 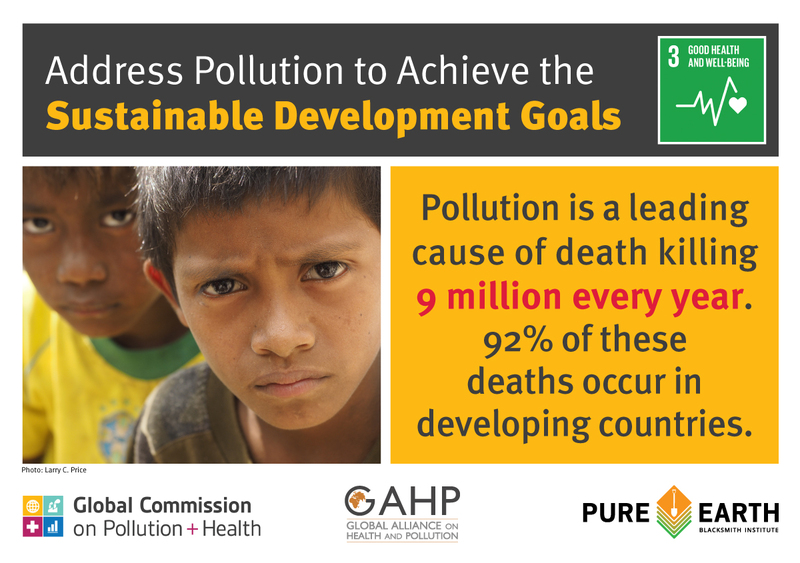 Remember to use the hashtag #WeCanFightPollution in all of your posts! 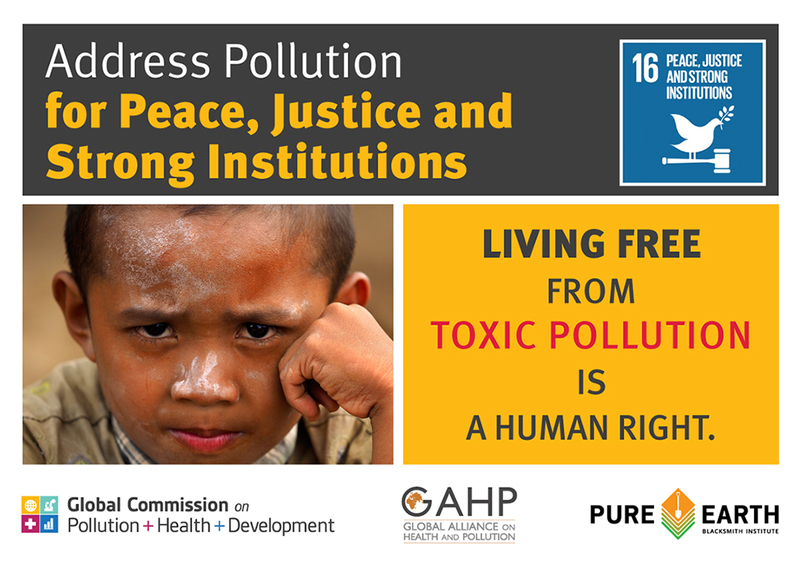 For more updates on the campaign and to connect with us on social media, please follow our Facebook and Twitter accounts. 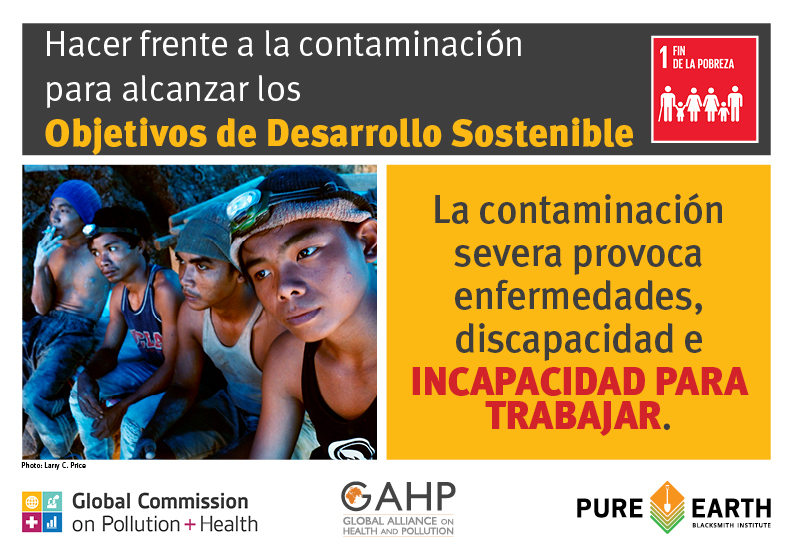 Thank you again for all that you do.